On this Look Up Day, which happens to also be Thanksgiving, I wanted to share with you a piece of my powerful story that I wrote about in When All Balls Drop. In the vignette below, "I'm Thankful For..." I describe how special Thanksgiving of 2009 was at my mom's home in Massachusetts. Only two months after I had nearly lost my life, breaking my neck in a tragic tree accident, I speak of my gratitude. Although I had been fortunate and thankful for the life I had previously, that particular Thanksgiving had an especially sweet meaning. Not only was I alive, but the fact that I’d be able to recover and be my normal self in time was paramount. I had never experienced a Thanksgiving like this before. Having a very small family and being blessed with good health, I knew I should never take life for granted because I had almost lost it all. I should honor my family, friends, health, wisdom, and myself not only on Thanksgiving but all year. Despite living in a time-starved, multitasking society, people should be able to live a life that pays respect to those who helped them get where they are, to have fun being who they are with whom they love, and to never let an opportunity pass them by. That’s my new belief. 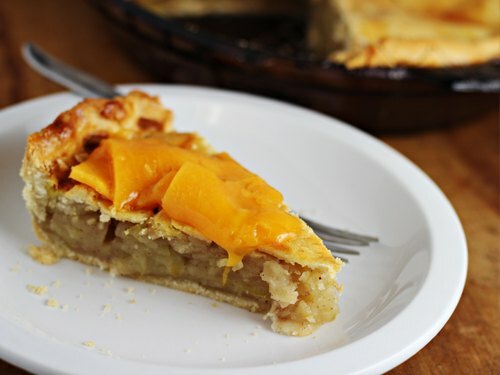 In that moment, I understood why around the world people toast with the words “to your health” or “salud.” And with my newfound appetite, I planned to have two pieces of my mom’s apple pie with cheddar cheese on top. I wanted to make up for insulting her expert baking skills by eating the pie in the hospital only so I could poop. Although this time of year encourages us all to reflect on what we are grateful for, I suggest you carry an element of this gratitude with you daily as I do. By using a concept I call, Looking Up, I survived a full-blown life catastrophe losing my health, marriage, and career; however, it also helps me carry on through the daily frustrations wherever I am. By Looking Up, I focus on being more in the moment and grateful, while positively spinning each situation. By choosing to Look Up, I reframe my circumstances. I can't control my editor's opinion, the traffic on I-95, or even my DNA. However, I can control the way I think about it. Happy Thanksgiving! Happy Look Up Day! My clan, please don't forget to sign up for my updates here. And, if you haven't already purchased your copy of When All Balls Drop, do so here. Hint: It's a great gift for yourself as well as a holiday present that's under $20!